Bülent Gürler aka. Butch is a house and tech house legend. Known for his musical ability to blur the lines between mind, body and soul, the German producer’s impressive work ethic is a driving factor in his success. Release-wise Butch is one of the few artists that are able to walk the fine line of quality and quantity, and come out the other end winning every time. A new remix or original from Butch is never far from surfacing, and his latest efforts are a perfect example of the fact. His latest work has come in the form of ‘Fünfviertel’, a two-track vinyl-only EP written with Ricardo Villalobos under their alias ButRic. Prior to his work with Ricardo was his ‘Countach’ release, a banging single signed to Sven Väth’s Cacoon Recordings. Furthermore, Butch also justteased the artwork for his remix of Basement Jaxx’s ‘Good Luck’. As his three most recent offerings illustrate, the notoriety of Butch is as legitimate as it gets. 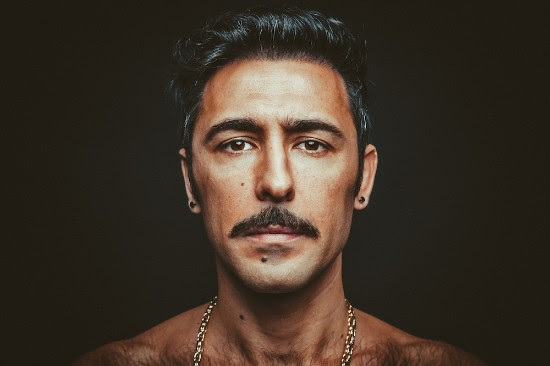 Constantly working in parallels – drenched by a potent mixture of juxtaposition and fluidity in both his sets and his productions – Bülent Gürler AKA Butch, fuses the grey-area space between music of the body and mind. With over 20 years consumed by a thirst for electronic music, the Alzey-born, Mainz raised entity has released on leading imprints such as Desolat, Cocoon, Rekids, Sei Es Drum and beyond, while maintaining a solid DJ schedule that’s seen him opening the minds and hearts of crowds at fabric, Time Warp and his continuing residency at Berlin’s Watergate. 22-years ago, a 12 year old Butch received his first record player, some second hand vinyl and obediently burrowed into his room to scritch-scratch and beat juggle, imitating and idolising the masters he saw at the DMC World Championships and the vinyl culture central to its core. Of course, he grew older and louder and continued to broaden his palate for music. Butch got hooked on the art of sculpting beats sometime in the last millennium. He started with baby-steps in 1991 before reaching his current optimum state – a refined style that’s seen him voted as ‘Best Producer’ in Germany’s Groove and Raveline magazines two years in a row, whilst also sitting atop the All-Time Most Charted section on Resident Advisor. Butch might be the hardest-working man in the scene, but it all comes naturally to a man who is first and foremost a music lover by heart. 5 days a week he spends emphatically producing music, as well as performing around the world at various parties, all of whom are looking for the special vibe and touch that Butch brings to his unpredictable, existential sets. As with any restless entity, Butch is set to further explore pastures new in 2014. He’ll be launching OTHRSIDE and working on more experimental, “psycho-acoustic’ music with friend and percussionist Chris Hohberg. A mixture of sonic soundscapes and electronic structures, the planned album will seek to cast its tracks across the divide of musical consumption and appreciation – an album suited to home listening as much as it is for dance-floor. The Hard Aches Release Highly Anticipated New Album ‘Mess’ Out Now. Australian National Headline Tour Starts Today.